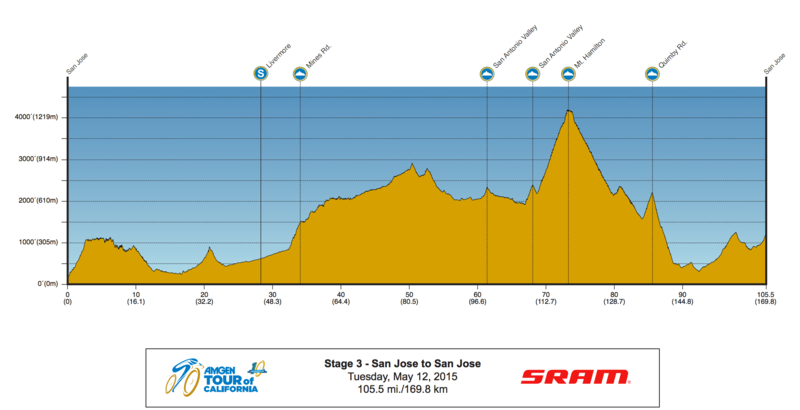 Stage 4: San Jose to San Jose, a monster climbing day, featuring 5 KOMs (4 x Cat4, 1x Cat2 and 1x HC, Mt Hamilton). 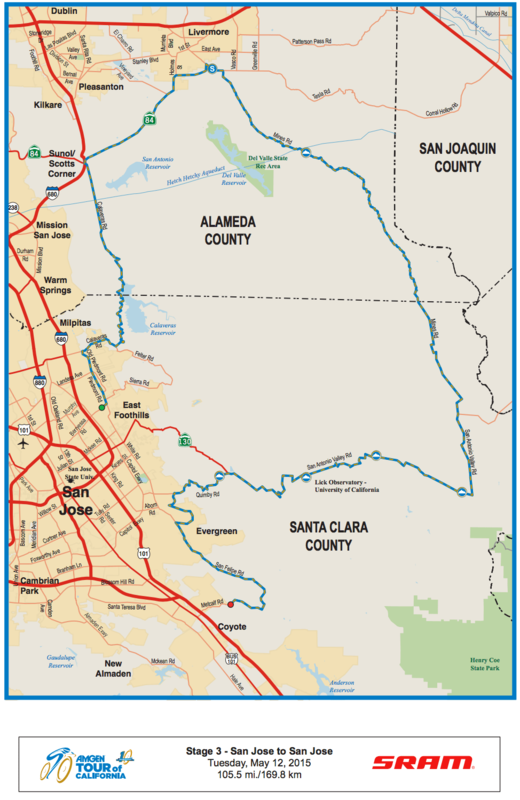 My original plan was to ride from San Jose to about the bottom of the Quimby Rd KOM and take the campers off the course there. After a closer look at the map and the stage, I decide that we’d pick everyone up and drive past Livermore to Mines Road. The A-group would start on Mines and the B-group would be shuttled up a bit further up the course, to start beyond the first KOM. We’ve done Mines Rd a couple times in the past and this is another of my favorite rides. The road climbs gently to a plateau of meadows. Very scenic, remote, and serene. 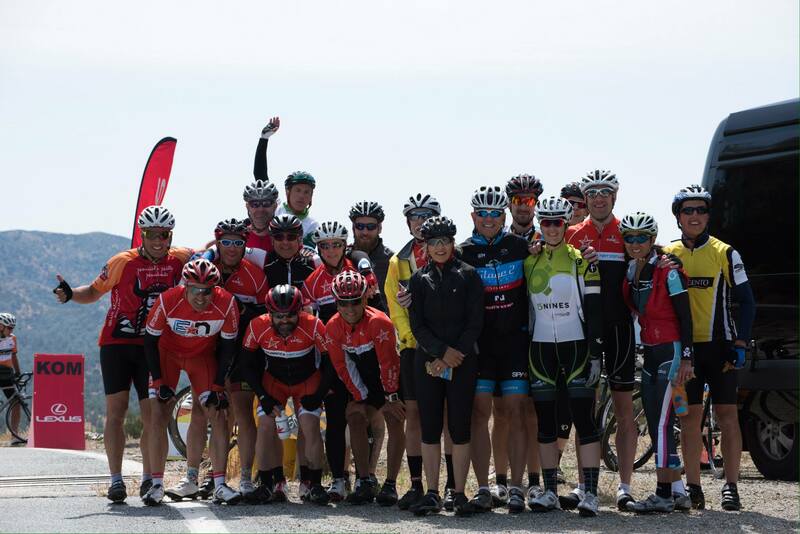 Both groups came together on the San Antonio KOM, making for a great camp shot. The B’s left a tick ahead of us and it was GREAT to roll by them later and see how well they were working together to keep everyone on and very organized! 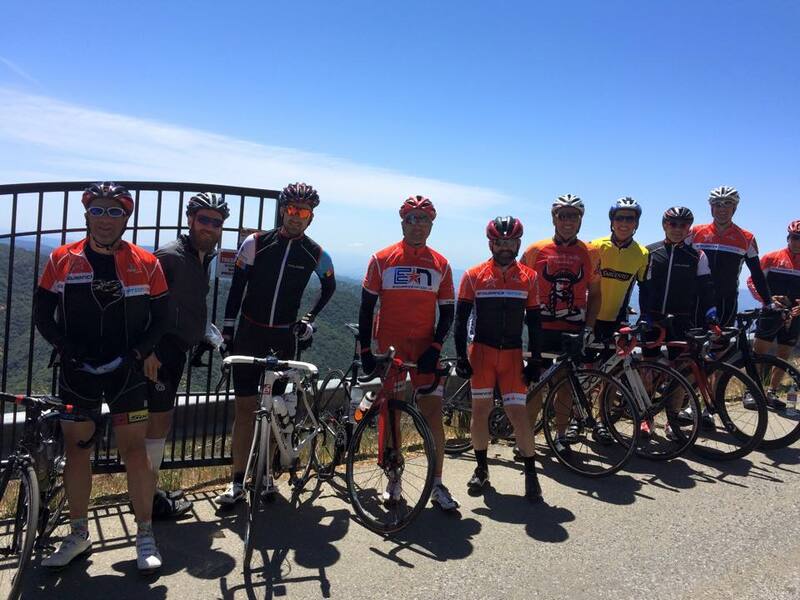 Next up was Mt Hamilton, an HC (“Beyond Category) climb. The last time we did Hamilton it was a climb into the clouds and very cold temps. 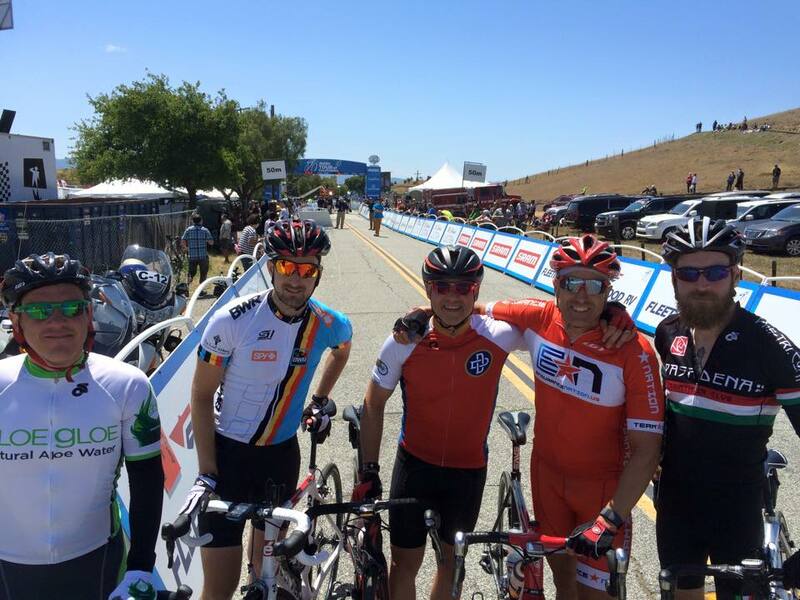 This year was perfect weather and the hill did not disappoint, I think with Trent taking the KOM? We had an incredibly fun 4k descent on great pavement before hitting a valley and making our way over to Quimby Road, a new addition to the Tour. This was a just a climb but the descent on the backside into San Jose was HAIRY! Very, very sharp switchbacks staffed by corner workers and hay bails. Next is where it pays to have Mrs Coach Rich, Joanne, on board. She’s done every ToC with me. She got to big intersection, assessed the situation and knew that if the campers and vans went past here to the finish…and we’re rolled up by the Tour, we would add hours and hours to our day. The finish was basically up a dead end road with no exit that we could see. She called me with this, we chatted, and when we met her I told he to stop the campers as the went by and tell them that if they decided to keep going towards the finish they’d be on their own. The vans would consolidate in the strip mall where she was. But not before Jeremy took a flyer off the front, missed a critical turn and just kept going . No way I was going to chase him down, I knew he’d figure it out and use his phone to find us later. So a few of us went up the road towards the finish of the stage…and it sucked. 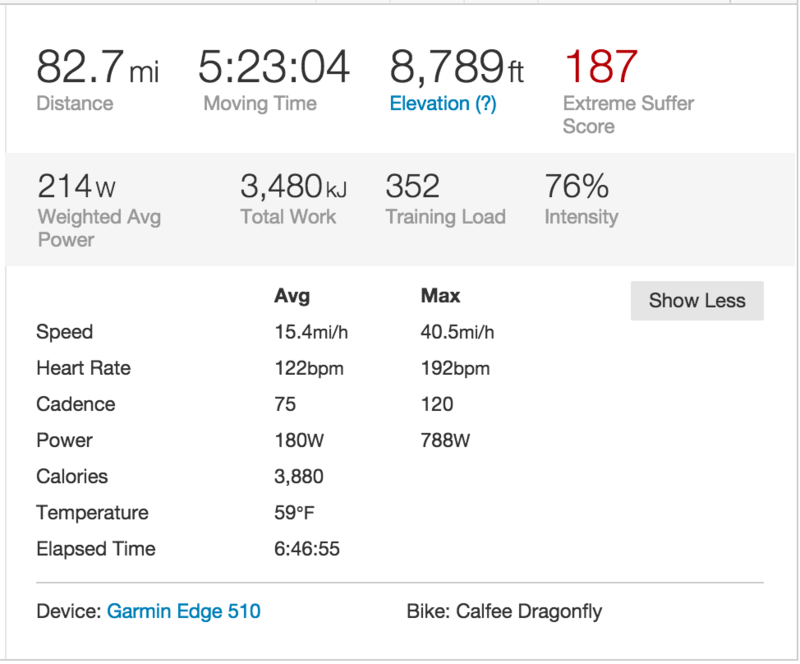 Good for the additional miles and gain, but the finish was at a motorcycle park(?) with very, very few to no spectators. No idea why the race didn’t finish downtown (shrug). When we got back to the vans, pretty much everyone was together and had been properly pizza’d, sub’d, ice cream’d up in preparation for our drive to Monterrey and our own, off the course, stupid epic Stage 4!